Although no official release date has been given to the upcoming title Anarchy Reigns, that hasn’t stopped Sega and Platinum Games from beginning the hype a bit early through a series of trailers, including this most recent clip, titled “Whistling”. Anarchy Reigns is an action combat game that will focus on online combat through four playable characters. 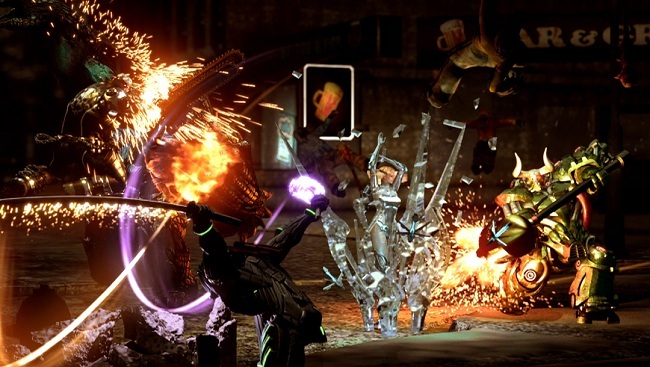 The characters, which are all featured in the trailer are: Jack Cayman, the dual chainsaw wielding character whom some might recognize from Platinum Games’ Wii title MadWorld; Sasha, an ice queen who controls icicle spikes and freeze powers; Zero, a cybernetic ninja with twin katanas; Big Bull, a large cyborg with a big, special hammer. Check out the trailer below and look for Anarchy Reigns in either the third or fourth quarter of this year on PS3 and Xbox 360.